Our real estate practice has the big firm experience and resources to handle the most complex projects and transactions. We're committed to providing one-on-one representation to each client while focusing on that client’s immediate and long term goals. When our clients have an opportunity or issue, we understand they looking for a practical and economical course of action. We will develop a strategic, economical and expeditious strategy to accomplish their immediate and long-term objectives. 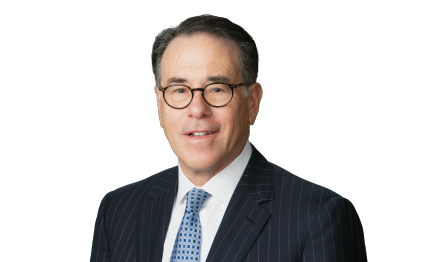 Leader of the Real Estate Transactions Practice Group, Michael Gillman has more than 35 years of experience developing practical business solutions for clients in a broad range of real estate, lending, corporate and other transactional and lending matters. His practice is largely focused on representing developers and lenders in the purchase, sale, construction, development and financing of commercial and industrial properties including multi-family housing and single-family subdivisions. Michael also has substantial experience in handling ownership structuring and project finance matters, and resolving CMBS and defeasance issues in multi-family developments. In his general business practice, Michael provides ongoing representation to a variety of local and national clients, from small and mid-size businesses to Fortune 500 companies. They rely on Michael to handle a number of transactional, operational and governance matters, including complex contract negotiations, stock and asset purchases, formation of corporations, LLCs and partnerships, strategic planning and counseling on day-to-day business issues. Michael advises financial institutions, hedge funds, private equity groups, energy funds and mortgage lenders on a variety of lending and finance matters, including interim construction loans, acquisition and development loans, permanent financings, asset-based loans and energy-related lending. He also represents both creditors and debtors in connection with loan foreclosures, workouts and restructuring. Representation of a developer in connection with a 3,800 acre single-family development, including land acquisition, development district issues, multiple phase infrastructure financing, and lot takedown contract and utility franchise agreement negotiations. Representation of a developer for the acquisition and construction of multi-family developments throughout United States, including interim construction loans and HUD financings in excess of $30 million per development. Representation of hotel owners in connection with acquisition and development of major chain hotel projects throughout the United States. Representation of hospitals in connection with acquisition and construction of hospital facilities and related medical office buildings, and related credit facilities up to $125 million. Representation of lender in connection with $180 million financing of gas storage facility. Representation of lenders in connection with hotel acquisition and development. Representation of lenders in connection with acquisition and construction of office and retail properties. Representation of hard money lenders in connection with single family investment properties. Representation of owners of a major downtown Houston office building/retail development in connection with a loan workout in excess of $100 million. Representation of investors in the acquisition of banking facilities and related ground lease issues. Representation of lender in connection with $50 million loan to charter schools for financing of construction and operation of schools. Over 23 years of ongoing representation of the world’s leading waste and environmental service provider in connection with municipal, commercial and industrial contract negotiations and real estate transactions. Representation of private equity group in connection with $525 million acquisition/refinance of various power plants. Representation of private equity fund in connection with $750 million financing for development of a mobile broadband provider system. Representation of a seller in connection with $24 million sale of a radio station and transmission tower.